Aura is named for the Greek Goddess of the Breeze. 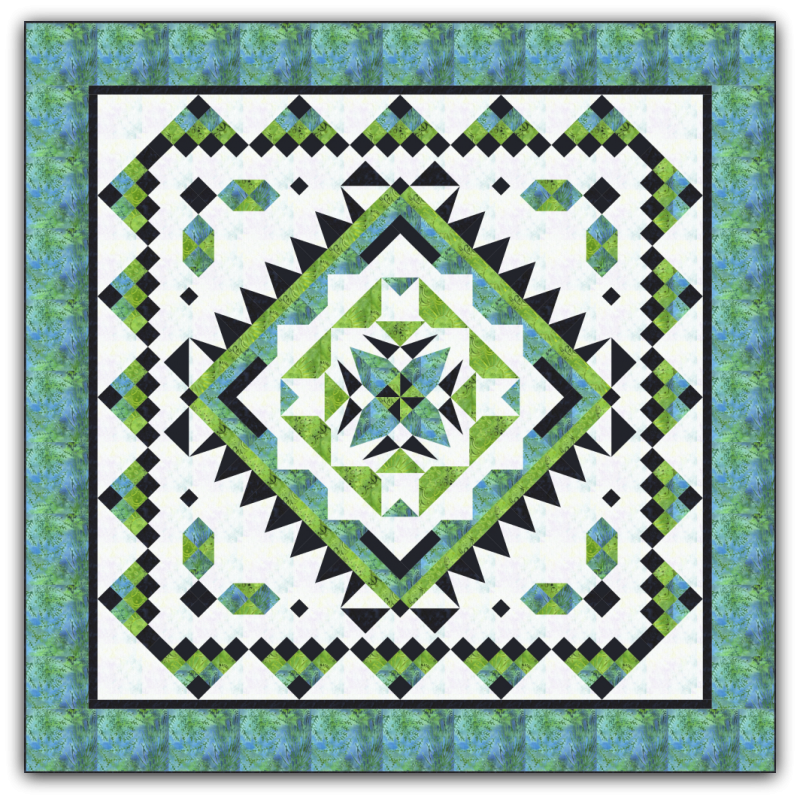 Like her predecessors Asteria and Gaia, this amazing quilt is made with the same basic shapes. 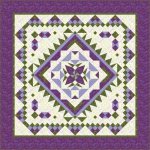 The quilt is made up completely of pieced straight lines; no curves or paper piecing. 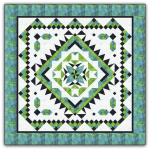 A combination of 4-patches, half square triangles and other simple blocks combine to make this extraordinary pattern. 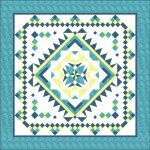 As an added bonus, you will receive a pattern with instructions on how to turn each block into a whole quilt -- that's a total of seven bonus quilt patterns! Aura finishes 84" x 84". 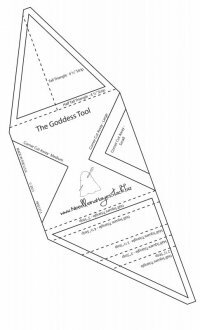 The pattern suggests using The Goddess Tool to quickly and easily create corner cut-aways, half square triangles, tall triangles and half tall triangles. Priced at $ 7.00 per month for 7 months. When you order directly from me, the entire set of patterns will ship at one time. You make work on Aura as fast or as slow as you prefer.